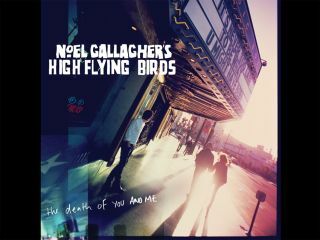 The debut single from Noel Gallagher's High Flying Birds has been confirmed to be The Death Of You And Me, with a release date set for 21 August 2011 on Gallagher's own Sour Mash label. The Death Of You And Me is Gallagher's first new material in three years and precedes the 17 October release of the Noel Gallagher's High Flying Birds debut solo LP. Click here to see a video of the 7 July press conference in London in which the album details were revealed.